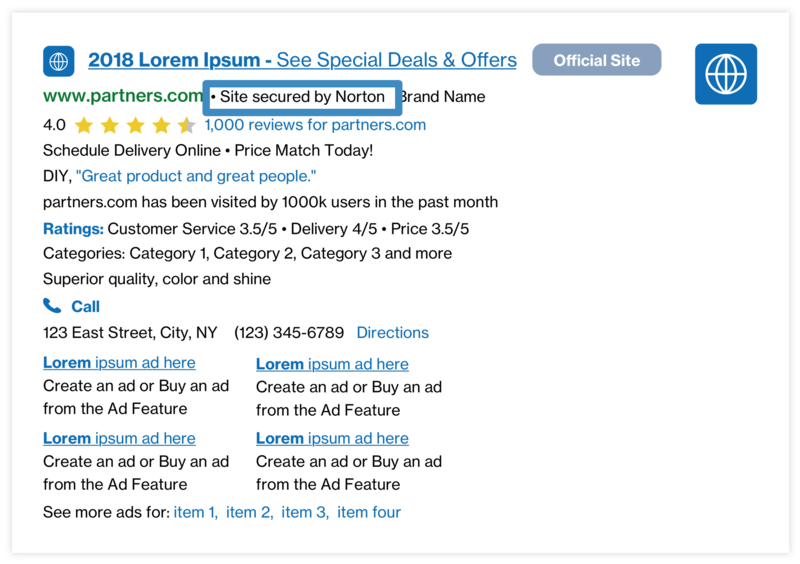 Security Badge Annotations add a "badge" to the ad to indicate that the advertiser's website is secured by a third party security provider, like Norton or McAfee. This annotation increases user confidence in the advertiser's website, thereby increasing clicks. Results: Some Partners have seen an estimated lift of +0.9% CTR and +3.6% RPM when combined with Top Ad Annotations and Brand Annotations. Results may vary.